Online player registration is now OPEN! Players can also get there from the green “BUY BADGES” button on TableTop.Events website! Don’t forget to also purchase your Huzzah! t-shirt while you are there! Please spread the word! Tell your friends who don’t go online or have Facebook etc. – especially let the grumpy ones who always complain know! Drop an email to President Michael Tribou president@mhwa.info or Vice President Josh Johnson vicepresident@mhwa.info if you have any issues. Please be patient, keep it fun, and thank you for being a part of our success! 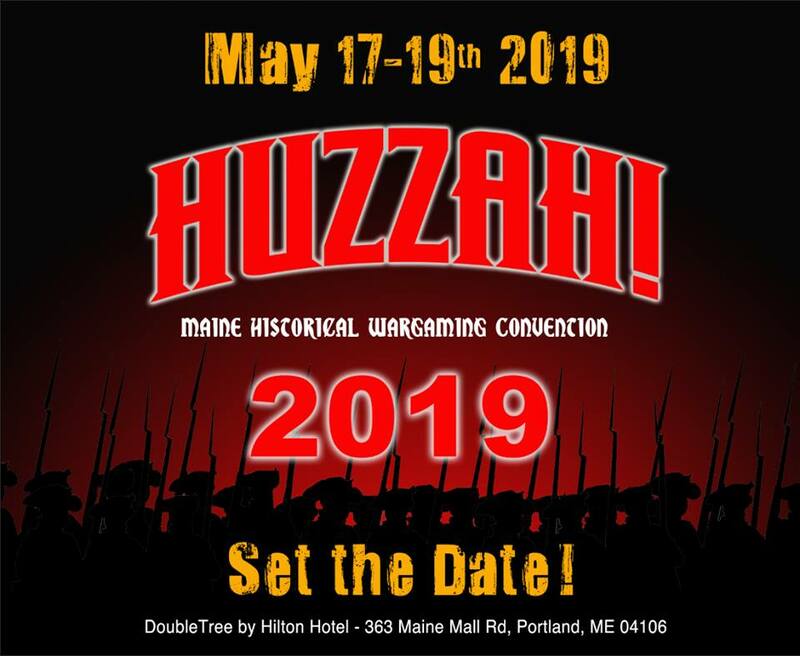 Book your room now for Huzzah! 2019! Previous Post: Huzzah! 2019 Game Submit Now Closed!